We live in the digital age, where progress, movement, and constant change are the norms of day-to-day life. To aid us in this journey, there are several gadgets we can count on – but a great one is the Bluetooth headset which has made our lives not only easier but a whole lot safer. Used to make and receive calls without having to use your hand, this device allows for you to communicate with friends, family and business partners without interfering with other activities you may be involved in. In the following, we’ll explore what are the best Bluetooth headsets in 2019, but we’ll start with a general introduction to Bluetooth headsets and a general buyer’s guide for your convenience. Most if not all modern devices have Bluetooth capability. This is a method of transmitting data over rather short distances compared to more popular methods such as Wi-Fi. Due to this short range, but its otherwise strong capability to transmit and receive data with little to no interruptions, Bluetooth is mostly used nowadays in headsets and smartphone to laptop/PC data transmission. 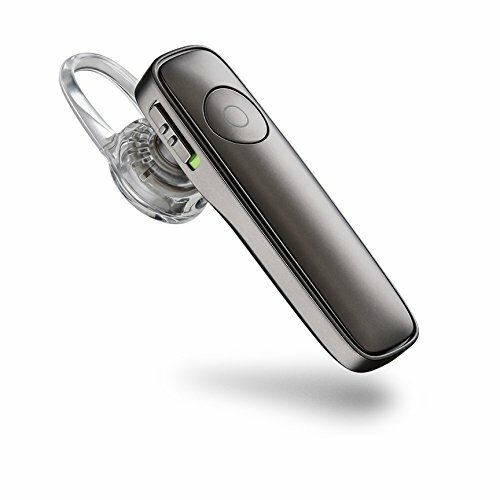 A Bluetooth headset incorporates both a speaker and a microphone, allowing for an almost completely hands-free approach to communication. A simple tap is usually all that’s needed to answer an incoming call, although most can be set up for automatic answering as well. Most Bluetooth headsets only come for one ear and they can be refitted for either the left or right side. Considering Bluetooth technology, most only work in rather close proximity to your phone, so it really just aids in short-ranged hands-free communication. In short, the device works by receiving and transmitting information to and from another similar transmitter/receiver found on your mobile phone. The headset connects to your phone which is used to discover the headset’s signal and then starts passing on information in-between them. Setup is usually straightforward and simple, and most modern devices have simple guides which help you connect these devices. When it comes to choosing the best Bluetooth headsets in 2019, there are still a few things to keep in mind when making your decision. For starters, and probably the most important factor in this decision-making process is the range of to which these devices function. Bluetooth is inherently only good for shorter ranges, so don’t expect area coverage like you’d get from a standard Wi-Fi router. However, ranges can vary by quite a lot, depending on the quality of the device, environmental factors, and even interference. But if you’re looking for a more powerful device, then you’ll probably end up spending more – while short-range devices are more accessible from a pricing standpoint. A second thing to look out for is sound and microphone quality. While most if not all devices will deliver a good sound to your ears, and the microphone will pick up what you’re saying and relay it over to whomever you’re speaking, there’s a lot that can enhance and decrease quality both ways. Most modern devices feature HD voice from quality speakers which come in mono or stereo format. This means a crisper sound, and the speaker can also feature noise reduction technology so that you only hear the sounds from the speaker, while outside noise is drowned out. 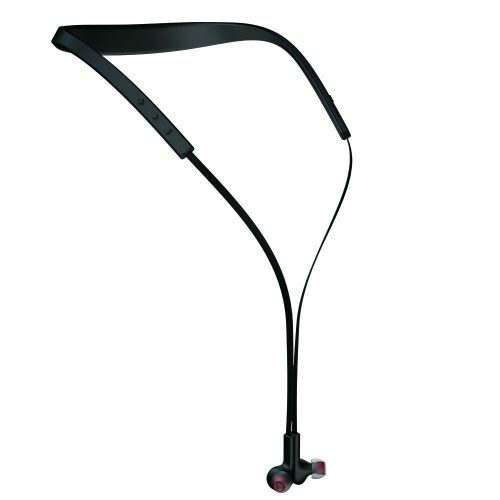 The microphones featured in these headsets, however, are the key to a great device – with background nose reduction technology and even multiple microphones used to pick up a great, crystal-clear sound, these can help a lot in noisy environments without compromising on the quality of your conversation. Wind noise is a common problem with wireless headsets and having incorporated technology which can reduce it will go a long way to allowing you to use them wherever you are. The last thing you should keep in mind is that these devices are powered by batteries. Depending on the batteries used and their incorporated technologies, the devices will have varying standby times, and vary minimum talk time guarantees. So if you’re planning on using a Bluetooth headset heavily, you might want to go for lithium-ion powered devices with a long minimum active conversation time guarantee. You’ll also need to keep in mind that not all headsets are universally compatible with devices – but for the most part, headsets which only work with certain devices will make that clear in their descriptions or technical specs. 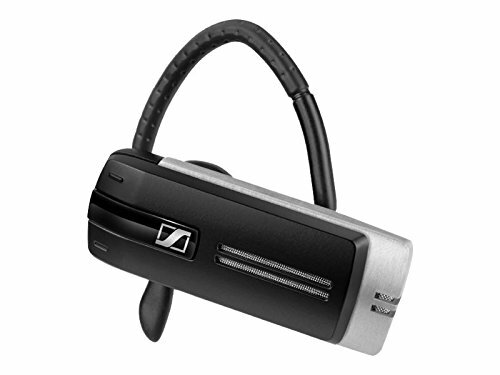 The first item on our list, the Sennheiser Bluetooth Headset for Universal Devices comes in silver/black design and is indeed a powerful device, albeit at a more than expected price. However, this price is definitely worth the capability this device offers – great, clear sound, amazing range and plenty of incorporated technologies which will make your life a whole lot easier in the long run. 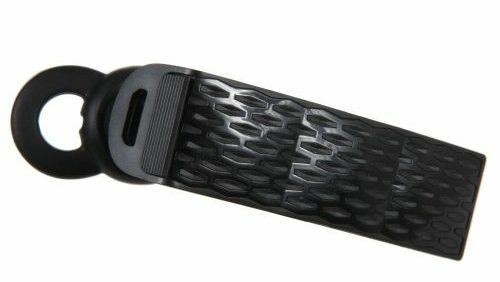 The main attraction and selling point of this device is the advertised 25-meter range, making it a powerful Bluetooth device. Be mindful, however, that this range can be impacted by environmental factors and even by the device it is connected to – a smartphone with a weak Bluetooth card will probably not be able to take advantage of this range at all times. Aside from that, you have your HD voice clarity technology included in the microphones, which there are 3 of installing in this device, so you’ll always sound your best regardless of your surroundings. This is especially true because the Sennheiser also features wind noise reduction. The speakers are also powerful, featuring the Sennheiser HD sound technology and the Active Gard technology implemented, which protects your ears from sudden bursts of sounds or surges. It comes with a lithium ion battery, a total standby time of 366 hours, minimum talk time of 10 hours. Huge range, up to 25 meters. Too accessible on/off button, making it easy to accidentally switch the device on or off. 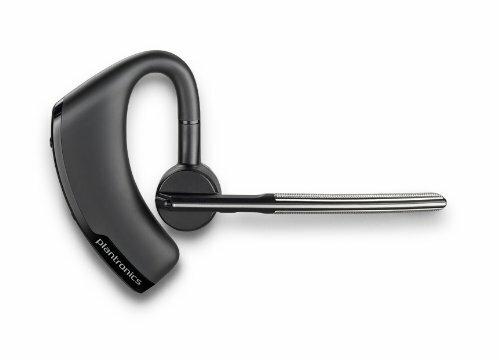 At a more reasonable price than our first item, the Plantronics Voyager Legend Wireless Bluetooth Headset is smaller in size – but how will it fare in performance? With a simple design of an earpiece and a protruding small microphone, this headset features Bluetooth 3.0 technology and is also compatible with Bluetooth 4.0 headsets. As far as hands-free communications go, this headset tops the bill with smart sensor technology. Basically, when you put the headset on, it ‘knows’ it is being used and will activate automatic phone call answering. What’s more, it has built-in voice recognition technology, making it great for making calls on the go, without having to pull out your phone and maybe lose focus on what you’re doing. This is especially safe for drivers. With 3 distinct digital microphones able to distinguish your voice from up to 80dB of background noise, this headset is perfect for those who find themselves outdoors a lot and still need a wireless headset which they can rely on for clear sound. It’s also water resistant, which is yet another testimony to the fact that this device was built for those working outdoors or those who need it when they’re at the gym during a strenuous workout. Total talk time is up to 7 hours, and standby time is up to 11 days. Up to 11 days standby time. Some encounter problems with charging the device – it features wireless magnetic charging technology which may be confusing for some. The first item on our lists which features speakers for each ear, the Samsung Level U Pro Bluetooth Wireless In-Ear Headphones comes at a very good price and with an interesting design choice. Available in 4 distinct colors, this device clearly shouts out ‘the future’. The device rests on the back of your neck and the two headphones come out of it and can either rest comfortably in front, right under your neck or can be work in your ears for constant communication. Speaking of which, this device has up to 9 hours of play or talk time, and up to 300 hours of standby time, making it a perfect fit for those heavy users who need to rely on it for the better part of their day. There are small ‘intelligent’ magnets installed on the earphones which allow you to play/pause/answer/hang up depending on how you connect or disconnect them. The UHQA Studio Sound technology will enhance the sounds coming into the headset, allowing for quality speech and music playback. 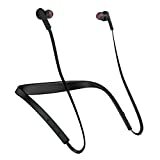 The earphones also have noise reducing gel and they deliver a 24bit digital audio experience to the wearer. This headset is splash and sweat resistant, making it perfect for the active users out there. Up to 9 hours talk/play, 300 hours in standby. Battery life shortened after prolonged heavy use. This product is somewhat of a hybrid between a headset designed solely for mobile phone use, and one designed for PC use. 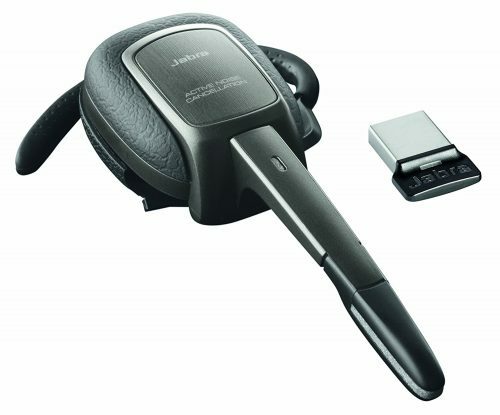 The Jabra Supreme UC MS Headset comes fully integrated with Skype/Lync capabilities and music streaming options for your PC, alongside the regular functionality you’d expect from a Bluetooth headset. Featuring Bluetooth wireless technology for wireless connectivity for up to 33 feet, it can be used with the pre-paired USB adaptor on any device with an USB port. The microphone is moveable, allowing for easy and convenient storage of the device when you’re not using it to talk. It also has built-in noise reduction on the microphone so you can enjoy long conversations with no outside interference. It runs on a lithium-ion battery. Useable with Skype and Lync. High price for its overall capabilities. 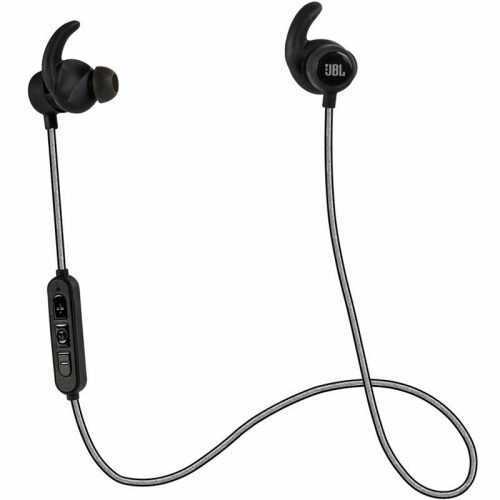 The JBL Reflect Mini Bluetooth is perfect for the active users out there who need the wireless capability that a Bluetooth headset can offer. 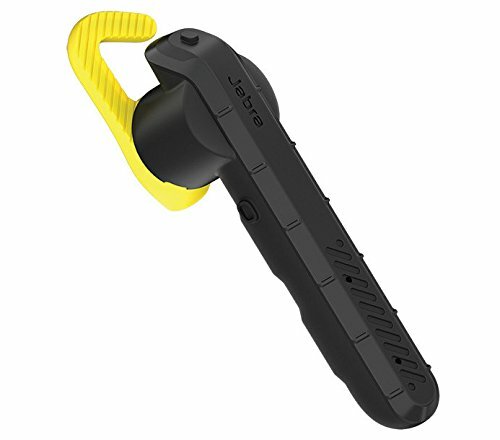 With a lightweight design and high ergonomic ear-tips which won’t fall out of your ear even during the most strenuous and active of workouts, this is definitely a great choice for those who enjoy spending a lot of time at the gym but don’t want to compromise on staying in touch with their peers. The built-in microphone is of great quality as well, offering crystal-clear sound during your workouts. And if you’re worried about sweat getting in the way, you’ll be happy to learn that this set has sweat-proof technology incorporated and the ipx-4 ear tips can also be easily cleaned whenever they need to be. The ear tips are also highly ergonomic, meaning you can keep them inside your ear for prolonged periods of time without feeling any kind of discomfort in the long run; enjoy more hands-free communication without the inconvenience of having bulky, sometimes uncomfortable headsets in your ear. The highly reflective cable which keeps the earphones together is highly reflective so you can easily locate it at night, making it a great headset for those running in the evening as well. Reflective cable for easy location and visibility when outdoors. A bit pricey for the supposed short lifespan users complain about. 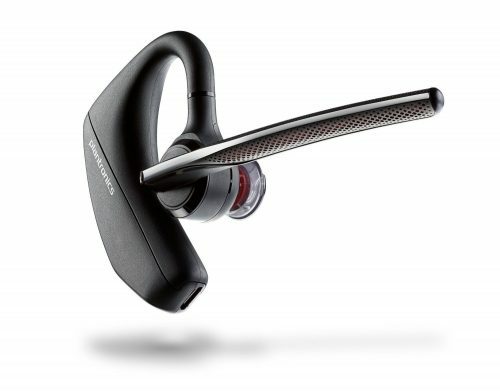 The Plantronics Voyager 5200 is the first product on our list to feature a full 4 digital microphones which take noise cancellation technology to a whole new level. This headset can be used successfully in heavy traffic or even in huge crowds without compromising on quality. Coupled with the HD Voice technology in this device, the person at the other end of the line will hear you clearer than ever before. With 6 layers of WindSmart technology, nothing will get past the microphones that shouldn’t – all the other person will hear is your clear, loud voice. When it comes to the design, the Plantronics Voyager 5200 shines yet again. They’ve rigorously tested this device on a number of fundamentally different ears so that they can ensure that everybody can wear it safely and comfortably without any strain for longer periods of time. And that’s why with a single charge, you can talk nonstop on the device for up to 7 hours, while it can last up to 9 days in standby mode. Even its range is a staggering 98 feet or 30 meters. The Voyager also detects when it is being worn, has a proprietary app which allows you to locate your headset and upgrade its firmware wirelessly, along with a portable power option which allows you to recharge on the go for a total of two additional recharges. It is also sweat, water splash, and humidity resistant. Ultimate noise reduction technology coupled with voice enhancing for great sound quality going out. Expensive considering you can get an earlier model which is just as good for a lot less. The Jabra Halo Smart Wireless Bluetooth Headset is on the cheaper spectrum on our list, but that’s mainly because of its ergonomic, lightweight design which offers it a stylish look without overdoing it with the materials used. The 10-mm speakers fit in nicely into this design, and offer full-spectrum audio capabilities to the user. Wind and noise reduction technology make the incorporated microphone deliver a crystal clear sound to whomever you’re speaking, and you can use the headset in most environments as it is water resistant. You have more control on how you wear your headset with the magnets attached to the earbuds which keep them from tangling up or bumping against you when you’re not wearing them and working out or running. But what really make this product shine is the total of 17 hours of guaranteed talk time and up to 15 hours of music playback that sets it apart from most other models in this list. And considering the price you can grab this headset at, it’s well-worth the investment if you’re looking for the quality sound both ways at an affordable price and the knowledge that you can use it intensely without having to worry about charging it again. 10-mm speakers with full-spectrum audio. The design may be problematic depending on the kind of activity you’re undergoing while wearing them. With a bulkier design option, the Jabra Steel Ruggedized Bluetooth Headset is definitely one that stands out. But it does so not only by design, but through this Bluetooth headset’s specs as well. First off, it incorporates Siri and Google Now into its functionality, so you can easily access those services through buttons located on the device. The ear hooks are optional if you find yourself annoyed by them. It also connects with up to two devices at one time and can handle 6 straight hours of talking and up to 10 days of standby time. Dust, shock and water resistant, the Jabra Steel Ruggedized Bluetooth Headset has been built to last. 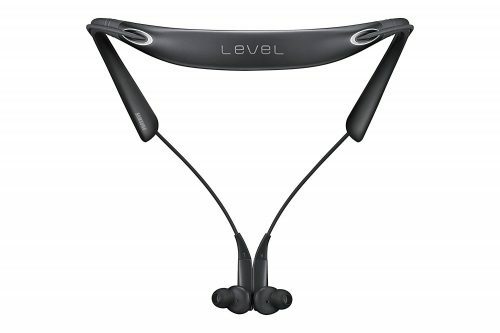 A testimony to this is the included 5-year warranty which you seldom see offered for headsets. Two microphones ensure background noise reduction to a point where you can enjoy a clear output of sound in most environments. Up to 2 connected devices, 6 hours up time for continuous talking. May deter some users who want to wear it for longer periods of time. Probably the cheapest item on our list, this Plantronics M180 Universal Noise Cancelling Wireless Bluetooth Headset – Grey is a great starter kit for those willing to try out this technology and see whether or not it suits their own style. This headset is small, very private and fits snuggly on your ear. However, this is designed solely for voice calls, so don’t expect that much of a use for it if you’re looking for a music playing device. With noise cancellation, dual microphone technology, you can rely on clear voice for your calls and easy to use voice instructions for a hands-free operation of your phone. Lightweight, it can stay in your ear for prolonged periods of time without bothering you. 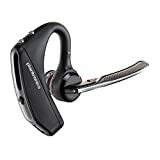 Like our previous Plantronics model on this list, this also comes with its proprietary app which can help you upgrade its firmware wirelessly and locate your headset when you misplace it. It has an easily accessible button for Cortana, Siri and Google Now activation and use. With Deep Sleep technology, this headset can prolong its battery life for a very long time, allowing you to get more out of a single charge. Proprietary app for locating headset. May prove problematic with use on other devices than mobile phones. The last item on our list sports an interesting design, but not something some of you might consider stealthy – so if you’re going for a subtle approach to headsets, this may not be the one for you. Aside from that, this offers NoiseAssassin 3.0 technology which is a great piece of tech to have built-in to your headset, allowing you to talk in noisy environments and sound like you’re talking from an office. It also features wind noise cancellation for outdoor use. The wideband speaker is larger which makes the overall design larger too, but all for the convenience of better sound quality when you’re talking on the phone or listening to music. This is also a highly customizable headset – the MyTALK platform allows you to change languages, get apps for the headset and generally do much more with it. It offers up to 5.5 hours of talk time and 10 days of standby time. Bulkier design due to the included wideband speaker.